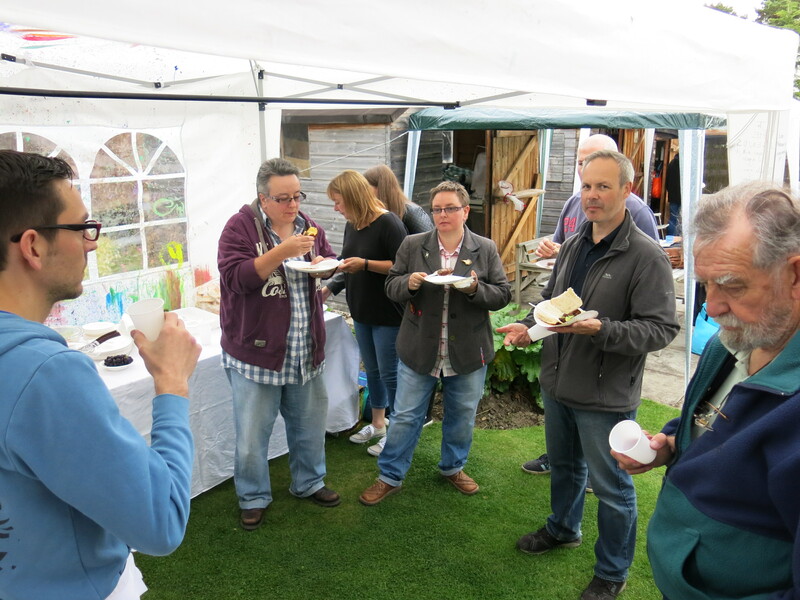 The first SCB BBQ has come and gone, good beer has been drunk and great food eaten! If you weren’t there here’s what you missed. Our first BBQ and the plan was to keep it quite safe venue wise, our President (Malcolm) mentioned that his parents’ home would be a great venue. A permanent BBQ area, shelter on the odd chance the Scottish weather wouldn’t be kind to us and just off the public transport route, perfect! The garden is huge and had plenty room to move around in, the kids really enjoyed running wild! 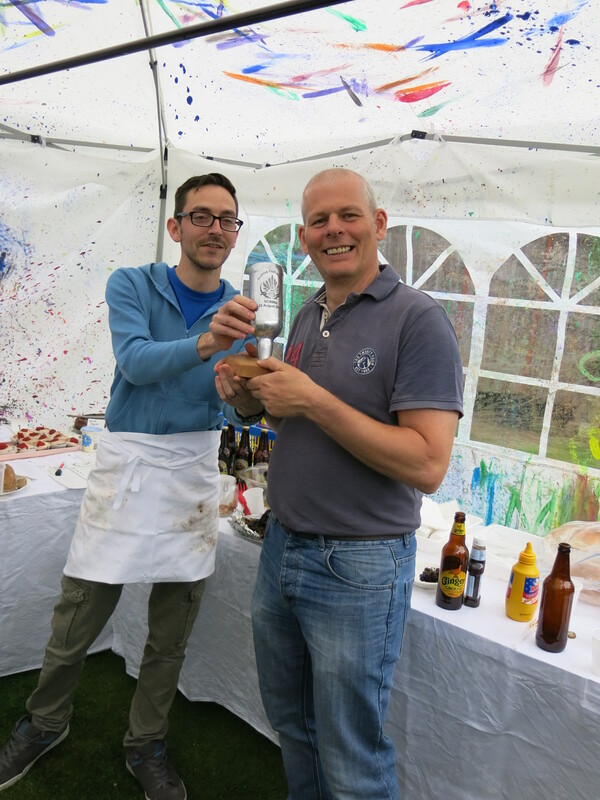 We decided to have a couple of friendly competitions both to be judged by the people at the BBQ, a Beer comp, we are the SCB after all and a Beer Based food comp, no categories, no styles the only criteria was….Beer in everything…simples! 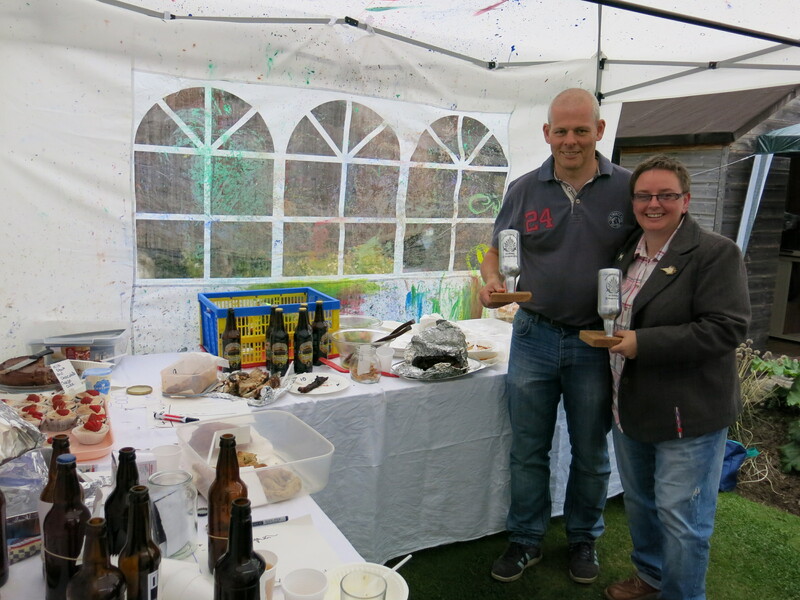 The Beer competition was quite a hotly contested affair with entries including a Beer with Ginger, a Black IPA, a Stone Beer (for more info ask Aled), a Galaxy smash and the winner which was a Pale Ale from Eli. Quite a dizzying array of beers all of which I would happily consume until I couldn’t! 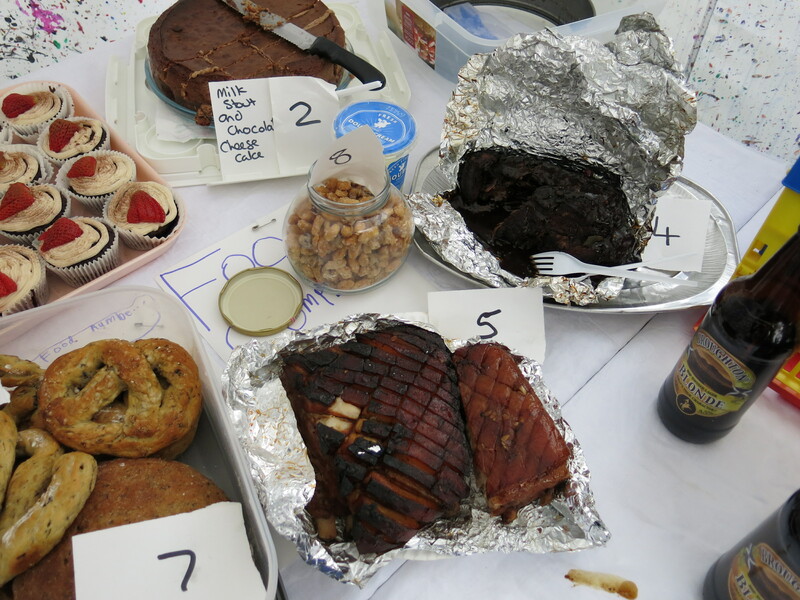 The Beer in Food comp was another hotly contested comp with (in order in which they should be eaten!) Bread, Pretzels, 2 different joints of Brisket, Ribs, Cheesecake, Peanut Butter bars and the eventual (after a recount\revote) winner Beer Nuts. All in all the two competitions provided enough beer and food to feed the participants with loads left over. A great day was had by all and already looking forward to next year! Massive thanks to Stuart for all the grilling he did and Malcs parents Colin and May for their hospitality! 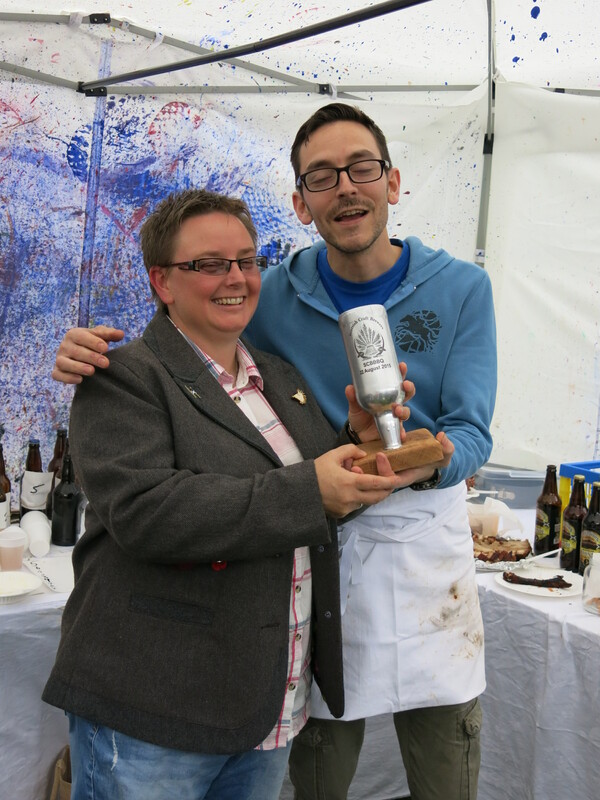 This entry was tagged bbq, homebrewing, SCB, Scotland, scottish craft brewers, Summer. Bookmark the permalink.